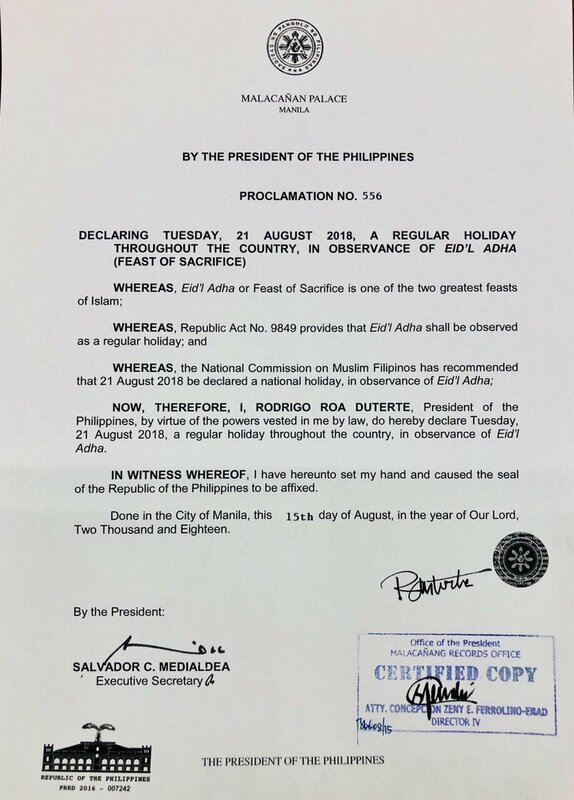 MANILA, Philippines – The Malacañang Palace officially declared August 21, 2018 (Tuesday) a regular holiday in observance of the Muslim feast of Eid’l Adha (Feast of Sacrifice). President Rodrigo Duterte through Executive Secretary Salvador Medialdea signed Proclamation No. 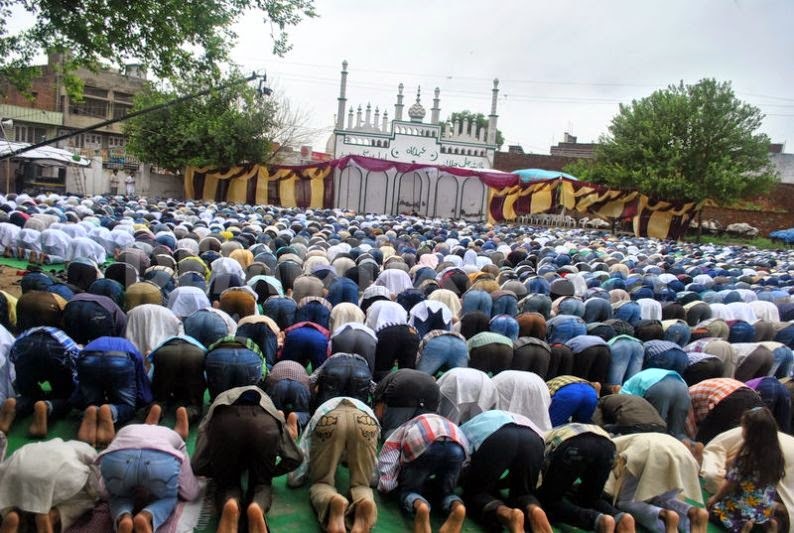 556 on Wednesday, citing recommendation from the National Commission on Muslim Filipinos (NCMF). August 21 is also the death anniversary of Benigno Aquino Jr., a nationwide holiday as well.